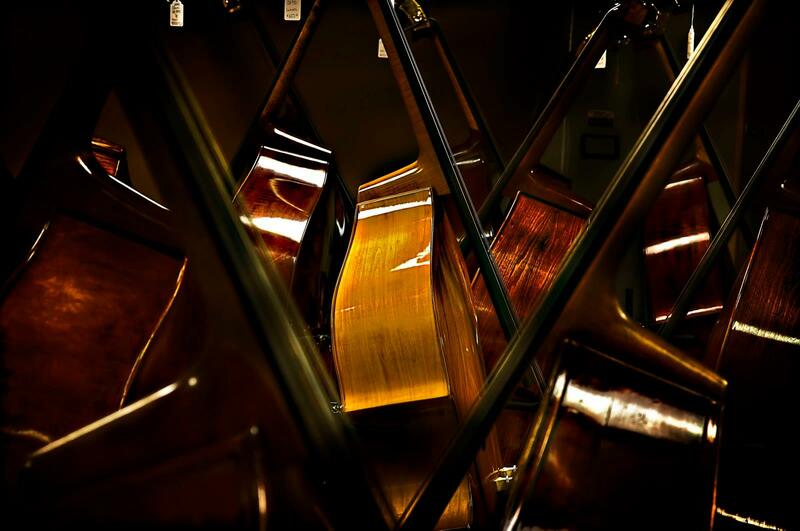 Get Your Jazz Groove On This Saturday Night! Located in the heart of the Brady Arts District, ZIN offers an upbeat and contemporary atmosphere, making it the perfect place to kick back, have fun, enjoy a great Happy Hour, an evening out with friends…or that special someone. Latin Jazz All-Stars, January 23rd 7:00 p.m. 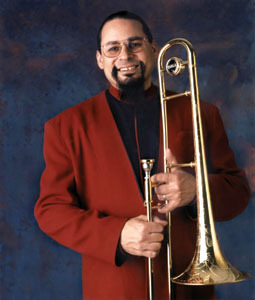 Trombonist and Saturday Night Live Band veteran, Steve Turrehas consistently won both the Readers’ and Critics’ poll inJazzTimes, Downbeat, andJazziz for Best Trombone and for Best Miscellaneous Instrumentalist (shells). NéstorTorres has recorded thirteen albums to date. His fifth and seventh records, Treasure of the Heart and My Latin Soul, were both nominated for a Latin Grammy, and his production of This Side of Paradise won the Latin Grammy in the Pop Instrumental category. Conga-playing Chembo Corniel divides his performance time between his two musical loves: Latin jazz and “old-fashioned salsa that swings.” He made waves this year garnering a Grammy nomination for Best Latin Jazz Album, for Things I Wanted to Do. Combined, these talented musicians have played with an enormous range of music greats, including Dizzy Gillespie, Celia Cruz, Tito Puente, Candido, Art Blakey, Grover Washington, Max Roach, PaquitoD’Rivera, Paul Simon, and Dionne Warwick. M.F. 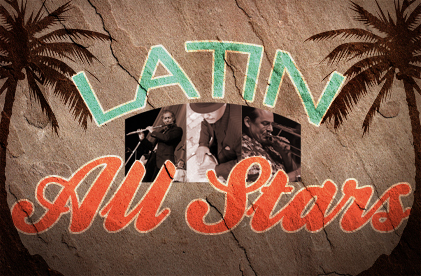 Productions’ Latin Jazz All Stars is a musical extravaganza that is sure to bring an audience to its feet! To enjoy the Latin flair, order your tickets online or call Bettie Downing at (918) 281-8609 and purchase your tickets. General Admission tickets are only $10.00, or $15.00 for Reserved Table Seating; a limited number of VIP tickets are available for only $30.00. Free Parking! Mark Bruner – Celebrity Club, Monday night, 6:00 to 8:30 p.m.
Sweney, Campbell and Glazer – Blue Rose Café, Tuesday night, 8:00 to 11:00 p.m.
Latin Jazz All Stars at The Oklahoma Jazz Hall of Fame-Steve Turre, trombonist and Saturday Night Live Band veteran, has consistently won both the Readers’ and Critics’ poll in JazzTimes, Downbeat, and Jazziz for Best Trombone and for Best Miscellaneous Instrumentalist (shells). Néstor Torres has recorded thirteen albums to date. His fifth and seventh records, Treasure of the Heart and My Latin Soul, were both nominated for a Latin Grammy, and his production of This Side of Paradise won the Latin Grammy in the Pop Instrumental category. Conga-playing Chembo Corniel divides his performance time between his two musical loves: Latin jazz and “old-fashioned salsa that swings.” He made waves this year garnering a Grammy nomination for Best Latin Jazz Album, for Things I Wanted to Do. Mike Cameron – Cellar Dweller, 417 W 7th St, Wednesday night, 9:30 to 11:30 p.m.
David Blue & The Begonias– Main Street Tavern, 200 S Main, Broken Arrow, Thursday night, 6:00 to 9:00 p.m.
Wanda Watson and Jennifer Marriott – Pepper’s Grill, 91st & Delaware, Friday night, 8:30 to 11:30 p.m.
Angie Cockrell – Tropical Restaurant, Saturday night, 7:00 to 10:00 p.m.
Jennifer Marriott Band – Pepper’s Grill, 91st & Delaware, Saturday night, 8:30 to 11:30 p.m. The Justin Echols Trio: A man with dueling careers, Justin Echols is both a police officer and international jazz musician. Both a vocalist and pianist, Echols recently returned from Italy, where he played with Wynton Marsalis. Along with the Justin Echols Trio, Echols’ performance celebrates the release of his latest album, “Just in Time,” with a guest appearance by Shelby Eicher. 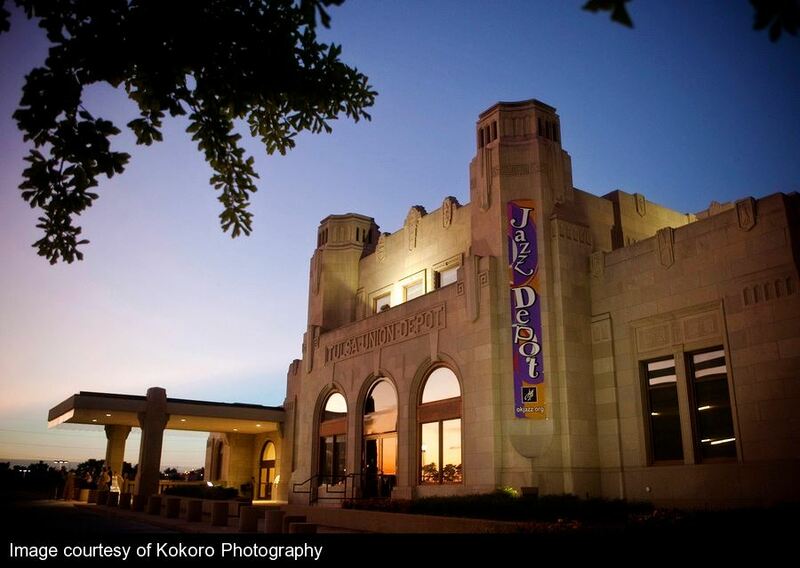 – Oklahoma Jazz Hall of Fame, Upper Level. Sunday night, 5:00 to 7:00 p.m. To enjoy the jazz, order your tickets online or call Bettie Downing at(918) 281-8609 and purchase your tickets. Members and Seniors enjoy discounted ticket prices at $10.00 each. General Admission tickets are only $15.00, or $20.00 for Reserved Table Seating. Free Parking! Olivia Duhon and the Frank Brown Duo – Smoke, Sunday night, 6:30 to 9:30 p.m.
Rebecca Ungerman – Bodean’s, Sunday night, 7:00 to 9:00 p.m.